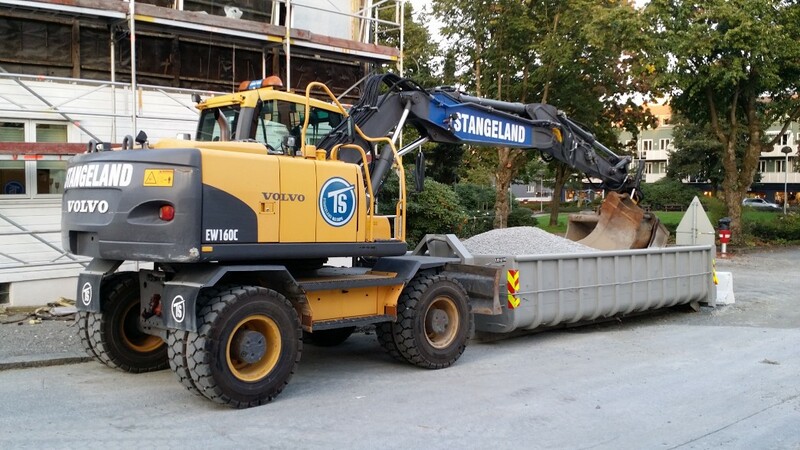 Do the job without the need for a hook loader truck to move the container for you. Load your bin while the truck is gone for dumping the load from your previous loaded container. Attach the dumpster directly to a wheeled excavator and it will move with the machine. Here in a tree cutting operation and as you can see the tree branches fall directly in to the bin.